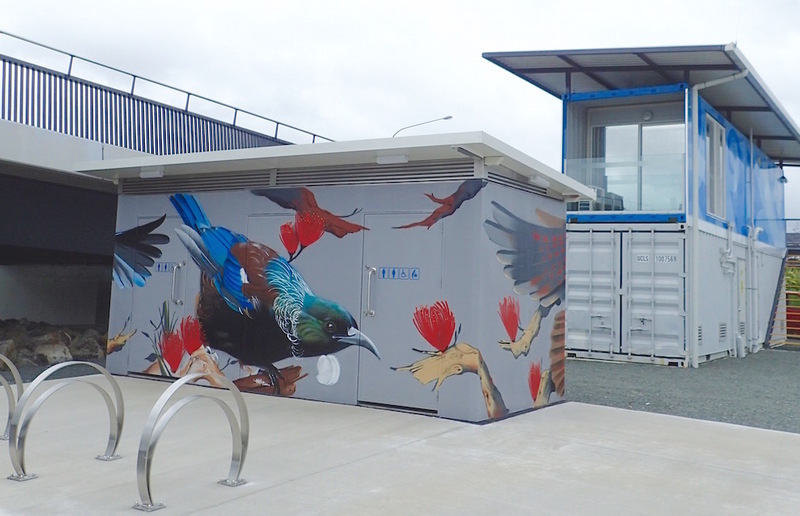 They're chatty, New Zealand's Tui songbirds (click here to New Zealand songbirds sing). 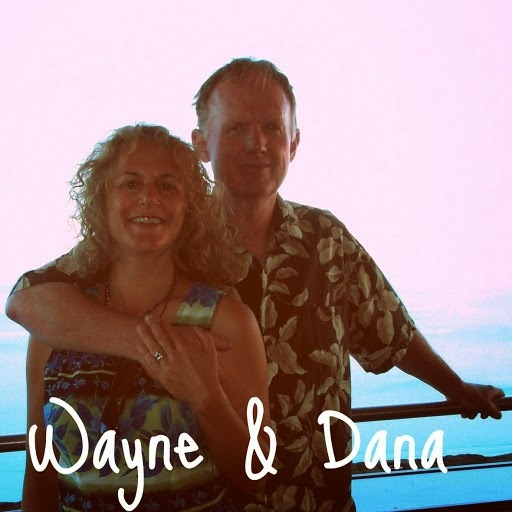 Sometimes they're sweet as copycats, able to melodically chime like a bellbird. Or mean as, when they screech to stake sole claim on their favorite flax flower fermented nectar. If you're lucky, you'll see 'em get loopy over the latter, much like the songbirds who got loaded on the pyracantha berries my California backyard when I was a child. amid New Zealand flax blossoms. 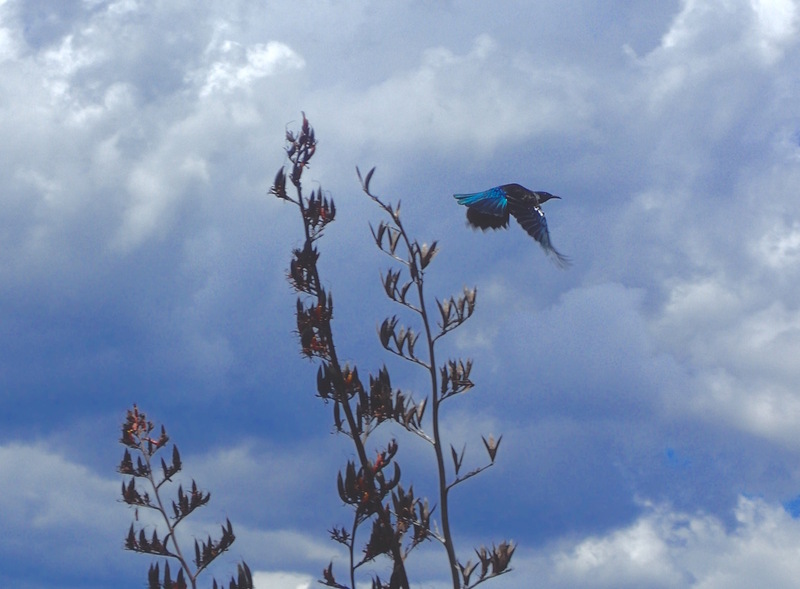 Tui are decent-sized birds, big as a pigeon, and in just the right light, their feathers flash in iridescent blue. It's the little white tuft that puffs out from their throat that suckers me in. It's hard to pick one favorite bird in New Zealand, but I guess mine's the Tui, with the irascible Kea mountain parrot a close second. 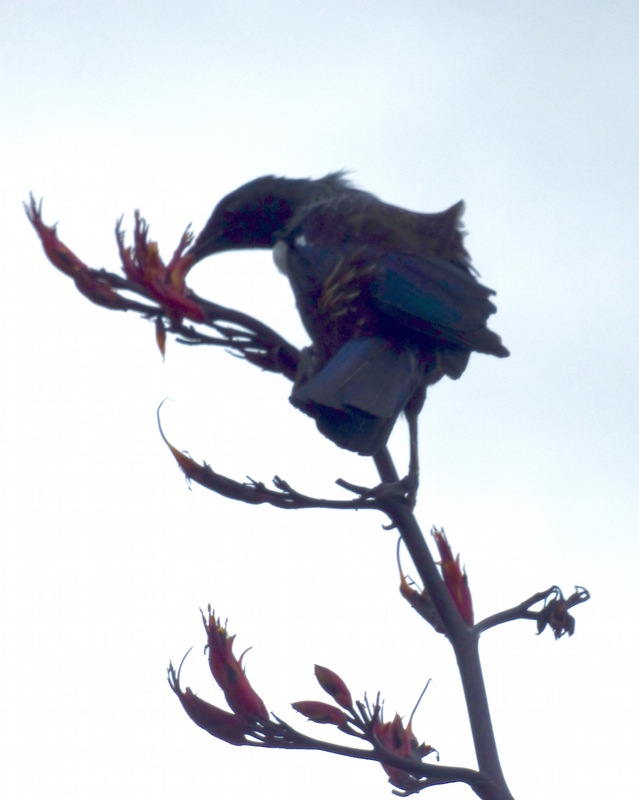 Tui, sipping New Zealand flax nectar, Bay of Islands. Whangarei's Hatea River lift bridge. Per wikipedia, "Tui are considered to be very intelligent, much like parrots. They also resemble parrots in their ability to clearly imitate human speech, and were trained by Māori to replicate complex speech. 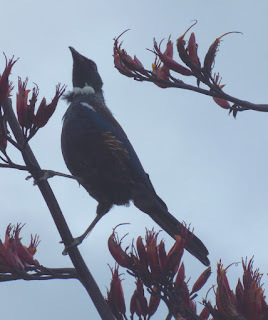 Tui are also known for their noisy, unusual call, different for each individual, that combine bell bird-like notes with clicks, cackles, timber-like creaks and groans, and wheezing sounds." Guess I'm not the only one who likes the Tui. Some Kiwis adopt it as a proper name for their child. on tap in most North Island pubs. Tui, fittingly, is also the brand name of a quite popular(and the company's happy to shout, award-winning) local beer. Nearly every day in Whangarei, my morning is lit up with Tui song, hearing them warbling noisily in the bush along the climb up Mount Parihaka. They're especially vocal when or after it rains, a real day-brightener on an otherwise dreary gray day. Like the "clack-clacks" of St. Lucia, I will miss hearing the Tui. So much so, I may even break my 50+ year rule on stuffed animals and buy myself a stuffed toy squeeze-it-and-it-sings Tui songbird. Not sure on that, but that it's even crossed my mind gives you a sense of how much Tui birds wormed their way into my heart my desire to keep my memories of this beautiful country fresh in my mind for years to come. 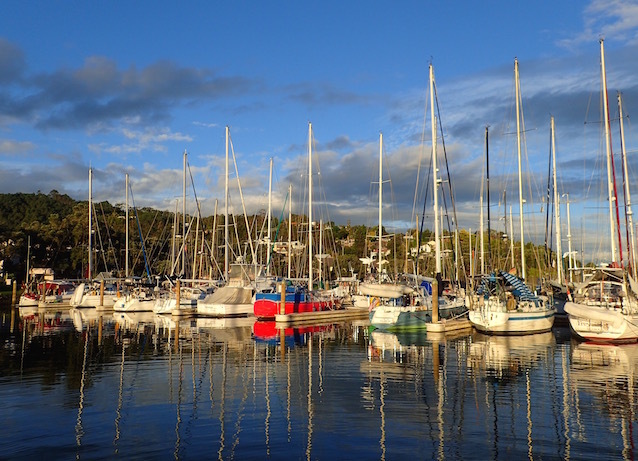 pole mooring, Whangarei Town Basin Marina. We're back on a pole mooring in Whangarei’s Town Basin Marina (S35.43.412 E174.19.539). 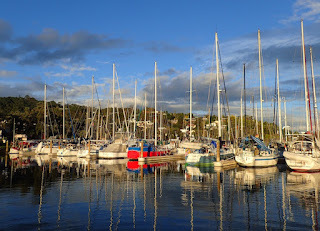 We've cruised New Zealand's Bay of Islands, though most of our travel here's been by road. 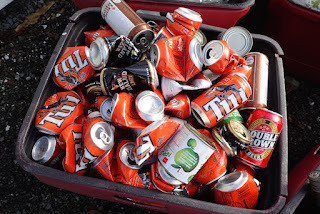 We've made it to Bluff, which claims to be New Zealand's Southernmost mainland town and plan to visit its Northernmost, Cape Reinga, before we leave the country.